The Costes-Cirgues estate is made up of small parcels with vines and olive trees planted side-by-side. The remarkable diversity of the soils – slate, gravel, chalk, flint and marl – give each parcel its own unique character. The Mediterranean climate, lightly sloping hillsides and the dry stone walls encircling the parcels leave their special mark on the wines and olive oil of Costes-Cirgues. This environment and climate offer the ideal conditions for organic and biodynamic agriculture. In order to implement our convictions until the final product, we decided from the beginning to add no sulfites to our wines. 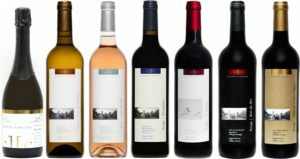 Our 13 years experience prooves that it is possible to make wines of a high quality, stable and defaultless, without chemical products or preservatives.